In order to get the best care for your shoulder problem, you should see an orthopedic shoulder specialist. Houston orthopedic surgeon K. Mathew Warnock, M.D. specializes in arthroscopic shoulder surgery and is Board certified in Orthopedic Surgery and Sports Medicine. He treats patients suffering from a wide range of disorders from rotator cuff tears and labral tears to shoulder fractures and dislocations. Dr. Warnock will examine your shoulder and discuss the treatment options available to you and try to find a way to treat the problem without surgery. Early intervention can help prevent further injury. If surgery is required, you want an experienced shoulder surgeon. Call Dr. Warnock today. Rotator cuff tears typically cause night pain, weakness, and pain with activity. Many rotator cuff tears can be treated with activity modifications, light exercise, and in some cases, a cortisone injection. Rotator cuff tears that cause ongoing pain and weakness may benefit from surgery. If your shoulder pain just won’t get better, call Dr. Warnock today. Injuries to the superior labrum are called SLAP tears. SLAP tears are a separation of the cartilage from the glenoid or bony socket of the shoulder. SLAP tears occur where the biceps tendon attaches to the labrum, and this type of injury can lead to pain especially with weight lifting and throwing. Fractures of the shoulder and clavicle are common. Many fractures of the shoulder area can be treated without surgery while the more serious fractures often require surgery. Shoulder fractures commonly occur in adults that fall on the shoulder. Fractures of the clavicle and AC separations commonly occur in young people that fall on the top of the shoulder. Dr. Warnock has extensive experience in the treatment of complex shoulder and clavicle fractures. A shoulder dislocation is a common injury in people of all ages and can often be treated with physical therapy. Some shoulder dislocations cause more serious injuries to the shoulder such as rotator cuff tears and labral tears. If you have had a shoulder dislocation, you should be evaluated by a shoulder specialist today. Take the time to make sure you do not have a more complicated shoulder injury. Dr. Warnock will determine the extent of your shoulder injury and prescribe an appropriate plan of care. Call Dr. Warnock today! If you have a shoulder problem that causes pain and affects the function of your shoulder, you should see a shoulder specialist. When surgery is required to treat the shoulder, it is important to have a surgeon who is skilled in the most advanced arthroscopic surgical treatments of the shoulder. Arthroscopic surgery provides a minimally invasive solution that can repair your shoulder and help you recover with less pain. Dr. Warnock is an experienced and highly qualified orthopedic shoulder surgeon who specializes in arthroscopic surgery of the shoulder. Dr. Warnock can help you recover. Call today! Rotator cuff tears are a common cause of pain and weakness of the shoulder. Night time pain is a common complaint and the symptoms can persist for months. When the rotator cuff is torn, and the shoulder pain is persistent, shoulder surgery can provide relief. Arthroscopic rotator cuff repair is state of the art in the treatment of rotator cuff tears. Dr Warnock specializes in arthroscopic rotator cuff repair. His expertise is often sought in the treatment of the most complicated rotator cuff tears. If you need surgery for a rotator cuff tear seek the expertise of a skilled arthroscopic shoulder surgeon. Call Dr Warnock today! shoulder dislocations often cause labral tears that can lead to recurring shoulder dislocations. In young people, many of these labral tears require surgery. Labral tears that occur after a shoulder dislocation are often called a Bankart lesion. Dr Warnock is experienced and highly skilled in arthroscopic labral repair. If your shoulder has been dislocated, call for an evaluation today! shoulder dislocations and shoulder instability can often be treated with nonsurgical treatments like physical therapy. When therapy fails, surgery is often required to regain normal shoulder function. Dr. Warnock has extensive experience treating athletes with complex labral tears who have disabling shoulder instability. Dr. Warnock uses advanced arthroscopic techniques to treat shoulder instability. The Latarjet coracoid transfer is performed to treat severe injuries of the shoulder and to help high level athletes return to sports after a shoulder dislocation. The Latarjet replaces missing bone in the shoulder socket and treats severe shoulder ligament injuries. The Latarjet is often used to treat recurrent shoulder dislocations. Dr. Warnock has extensive experience treating high level athletes using the Latarjet coracoid transfer. SLAP tears commonly affect the cartilage of the shoulder. 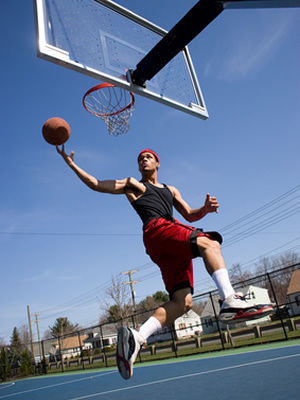 These injuries can cause pain, especially in young, active athletes and they can be treated arthroscopically. 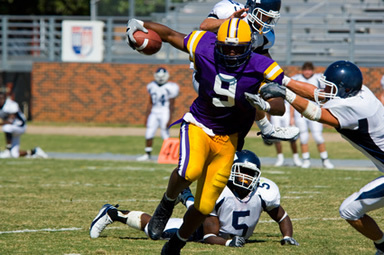 A shoulder specialist is uniquely qualified to determine if the labral tear needs to be repaired or if the injury is best treated with a biceps tenodesis. Dr. Warnock is experienced in the treatment of complex labral injuries. He can determine if the SLAP tear needs surgery or if it can be treated without surgery. If your SLAP tear needs surgery, you want an experienced arthroscopic surgeon who can appropriately repair your shoulder. Biceps tendon tears have traditionally been treated with open surgical repair. Dr Warnock is experienced in arthroscopic biceps tendon repairs. If you have a biceps tendon tear, seek the expertise of an experienced arthroscopic shoulder surgeon! A capsular release is used to treat a stiff shoulder that does not improve with physical therapy. Frozen shoulder is a common shoulder problem that can become so severe that surgery is needed to release the scar tissue and allow normal return of function to the shoulder. An arthroscopic capsular release can help regain shoulder motion when other treatments have failed. A severe frozen or stiff shoulder can be related to injuries, trauma, fractures, and medical conditions like diabetes. Dr. Warnock has helped many patients regain their shoulder motion when all other treatments have failed. Call to learn more about how a shoulder specialist, Houston physician Dr. Warnock can help you overcome pain, stiffness, loss of motion, weakness, and instability of the shoulder. Our friendly and helpful office staff can help you schedule an appointment today. Call now!